Responsible for guarding, paroling, and responding to the ports and waterways of the region, also providing peach patrol. Puts police, fire, and ems service into one team and utilizes mainly boats or helicopters and sometimes support vehicles. 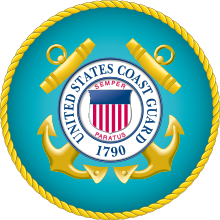 The Coast Guard is based out of the Los Santos International Airport, Joint Operations Fort Zancudo, and the Catfish Cove Lighthouse.